8020 Consultant Sue Chaplin is an active CPA with 15 years of financial reporting and accounting experience in entertainment, media, technology and financial services. A former PwC Audit Senior Manager, her experience includes Paramount Pictures, Disney, CBS and State Street. Sue was the VP of Finance at Todd-Soundelux, a post-production sound leader, as well as the Director of Finance at Warner Music. Sue has applied her creative problem-solving skills across the spectrum of large, small, public and private companies. She has written industry research white papers and contributed to external publications, and she has experience in finance and accounting, SEC reporting, auditing, technical accounting, budgeting and cash forecasting, financial statement preparation and process and control enhancement. Sue holds a BS in Accounting and a BA in Economics from the University of Connecticut. Given her extensive accounting experience, we asked Sue for some information and advice regarding one of the most misunderstood assets: goodwill. While you can’t buy, sell or even electively remove goodwill on a stand-alone basis, it can be an important indicator of growth or stagnation – one that savvy investors are sure to spot. 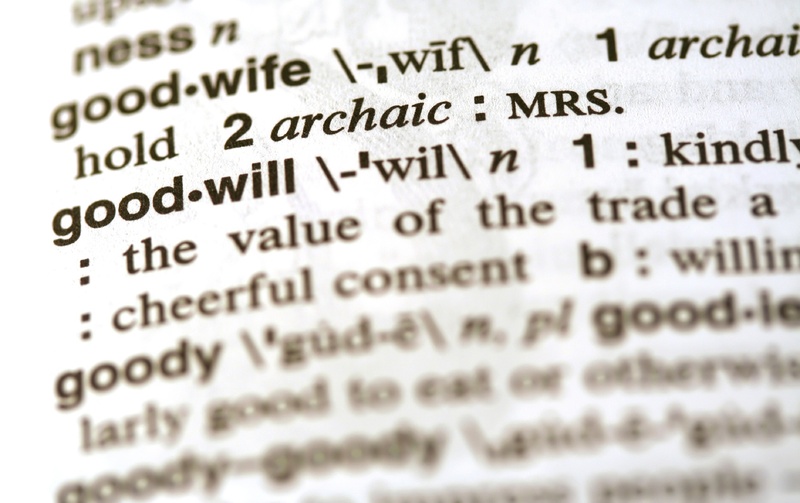 Q: To begin, what is business goodwill, and how is it determined? A: Simply put, goodwill is an intangible asset that represents the excess purchase price over the fair value of the assets and liabilities acquired during the purchase of a business. It works like a “plug” – the difference between the value of everything you bought and how much you actually paid. It tends to be a very large number and is determined indirectly – by the amount of fair value that is left when all other value in the transaction is allocated. The relevant accounting rules have changed over time, but as of a rule change in 2001, goodwill is no longer amortized. So, if you pay $20 million for a company, and the fair value of everything you bought comes out to $15 million, that $5 million remaining value will be recorded as goodwill. It will stay as a $5 million asset on your books without change until there is an impairment event or a subsequent sale of the underlying business. Q: How important is goodwill to a company’s valuation during the M&A process – and why? A: From the seller’s perspective, a large goodwill value means the buyer saw a lot of excess intangible value in the business. Plenty of undisclosed considerations may contribute to the final selling price, but in general, it means that the whole – the company’s future earning potential – is greater than the sum of its parts – its cash, hard assets and human and intellectual capital. From the buyer’s standpoint, though, a large relative goodwill value could be a warning sign to investors. If a company is purchasing a startup because they believe strongly in that startup’s idea, for instance, the goodwill value may be large relative to the overall purchase price, which is an indication the seller may not have significant revenue or identifiable intangible value to demonstrate the earning potential driving the purchase price. Still, the level of risk will depend upon a number of factors: current market conditions, the investors’ knowledge of the industry and the nature of the assets acquired, just to name a few. Q: What about the post-M&A period? How important is that number on the books of the acquiring company? A: This is when understanding goodwill is most important. For starters, any amount of goodwill is recorded as a part of the cost of buying that business. Those costs will of course appear on future financial statements, and investors and shareholders will see how much you spent above and beyond the fair value of the assets of your acquisition. 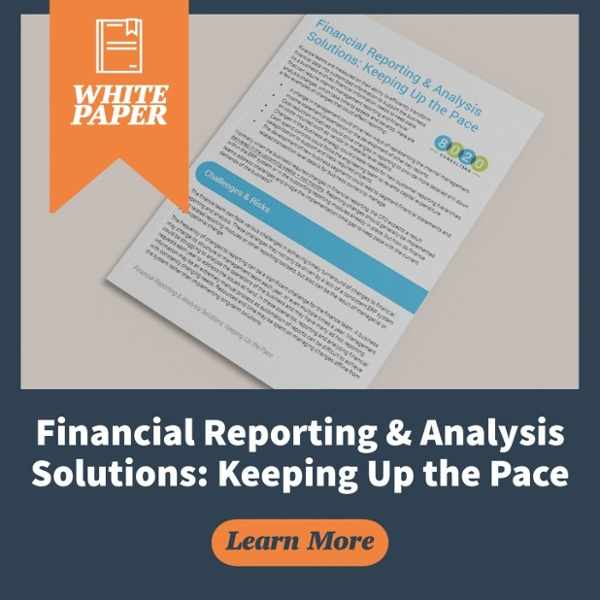 Where goodwill really starts to matter, though, is when you have an impairment – a difference between the fair value and carrying value of a reporting unit of your company. Let’s say you purchase a business that’s initially fair-valued at $10 million. Because of its brand name, market share and technology, you agree to the seller’s $15 million asking price, giving you a $5 million goodwill fair value. That purchase price allocation is typically supported by a detailed discounted cash flow and other models that is the buyer’s estimate of the future revenues and earnings of the acquired business – something that an investor likely won’t get to see. After the business is acquired, however, its sales fall, or it fails to grow as expected. This decrease in underlying projections drives the buyer to write-down goodwill to $1 million under the accounting rules. Q: Is there an important relationship between goodwill and stock price? A: Absolutely. Valuing goodwill is a two-step process. In the first step you value the business, and in the second step you value the net assets and the goodwill value is what remains. Part of monitoring goodwill for impairment is understanding how the total value of your businesses used for the first step compares to your market capitalization (i.e., your stock price multiplied by outstanding shares). If the market capitalization is significantly less than the total value determined in the first step, after assuming a reasonable control premium, it’s a key indicator of goodwill impairment and that the business is overvalued based on internal forecast models compared to the market. Markets are considered rational indicators of value and hard to refute. Goodwill is the primary element of financial statements that requires you to translate your stock price like that, which can provide real value. Q: To conclude, what are some major mistakes or oversights executives often make when it comes to goodwill? A: Because goodwill is so often misunderstood, some companies wait far too long to undergo necessary impairment evaluations or more importantly to understand its warning signals to a business. It’s an extremely labor-intensive, time-consuming process, and if you think you might have an impairment, you can’t ignore it. You need to engage a valuation expert right away because filing deadlines are very tight, and the SEC closely monitors goodwill accounting and the timing of impairment charges for public companies. If you think you may have a goodwill impairment, or if you need help with other complex accounting matters, please call us or reach out using our contact page to learn how our financial consultants can help you prepare.